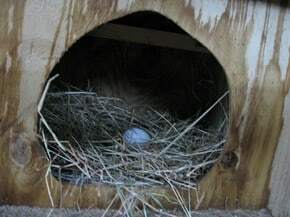 Look an egg in our chickens’ nesting box. Ha, had you fooled eh?! I’m not fooling the chickens either. 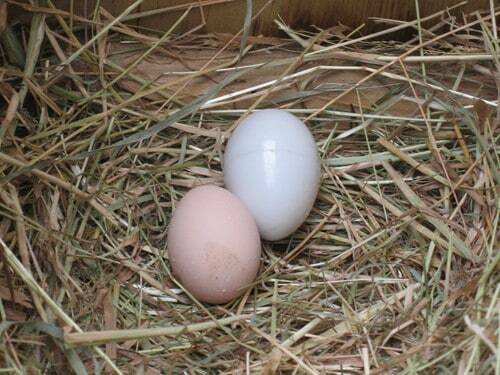 This is one of the “pretend” eggs that we’ve put in to try and persuade them to produce something similar. We wouldn’t want anything identical because these are made of plastic and won’t bake a cake or be the centre piece in a brunch. It’s about time our chickens started to produce some goods though. I’m slavishly looking after them – feeding them, cleaning their house, meeting their every recreational need (well I let them out in the bush!) – but so far nothing. That’s zero, zilch and nil, just in case you were in any doubt! Ok, maybe I’m being a bit harsh. These are after all young hens, it is winter and it’s been raining on their parade for days. I just home that we’ve not got duds. All the write ups about our Plymouth Bard Rocks are their are prolific layers so it’s a waiting game. Our neighbour Keith is doing the hen keeping honours whilst we escape north for a break. He’ll be spoiling them rotten no doubt bringing them lots of scraps, vegetables and other treats that they do get here but not every day. Today is Friday so it’s cleaning day for the chickens too. It was all a bit of a rush as another rain storm started to blowup the valley. 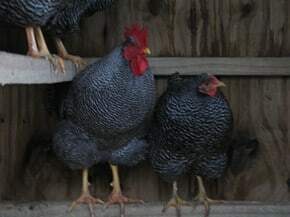 I threw caution to the wind and gave it a speedy deep clean whilst the chucks stood shivering and fluffing up their feathers against the damp. You see they don’t like to get wet – they are are not ducks after all! Job all done within about 30 minutes so it wasn’t all bad. 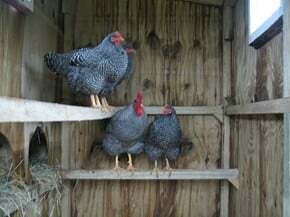 They then hopped back into their house in a heck of a hurry launching themselves up onto their roost with military precision with George overseeing positioning of the hens so that the warmest spot is kept for him. Typical male eh! 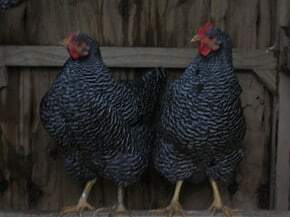 Just for my friend Ruth, here’s so chicken pictures to enjoy! Hope you enjoyed the picture show. Now, here’s something more amazing. Honest, you simply must believe me. Read part 2 of this post.